Tai Tam Country Park-Experience the unforgettable dragon back hiking adventure. the Hong Kong's countryside adventure! 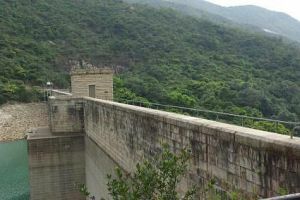 Here's a virtual tourist guide in getting to Tai Tam country park at Hong Kong countrysides and experience the unforgettable dragon back hiking adventure. One of the most inspiring natural views in Hong Kong, the Tai Tam Country Park. 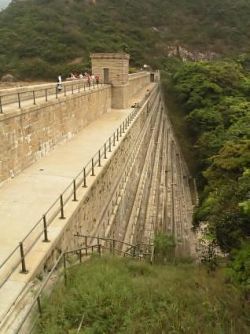 It is located in the Eastern corner of Hong Kong Island. From Jardine's lookout in the North, it sprawls across rolling slopes of The Twins to end at the Southern border on Stanley Gap Road. The western border lies in Wong Nai Chung Gap, while Tai Tam Road marks its eastern boundary. Designated in 1977, the park occupies a total area if 1,315 hectares, or one fifth of Hong Kong Island's land area. Hong Kong is remarkable because you can step from busy urban areas into peaceful countryside in minutes. That's particularly true for the Dragon's Back trail. This trail is the city's finest and most surprising ramble and you're so close to the city, but could hardly feel farther away. Once you leave Wong Nei Chung Gap and enter the Tai Tam Park, this is rural walking at its best. 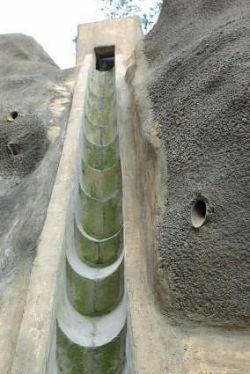 Built between 1889 and 1917, these reservoirs have an aggregate capacity of 9 million m3. Also found in the park; remnants of war, such as forts, magazines and wartime communal stoves. Tai Tam was a bloody battleground during World War II. Here, the invading Japanese met a strong resistance from the defending British troops. Take the MTR train to Admiralty station Exit A and then take a taxi straight to Tai Tam. It is about 18 mins taxi drive @ HK$65. Please refer to the map below for the travel map route. Here's to know other places for more Hong Kong walks aside from your Tai Tam country park adventure.